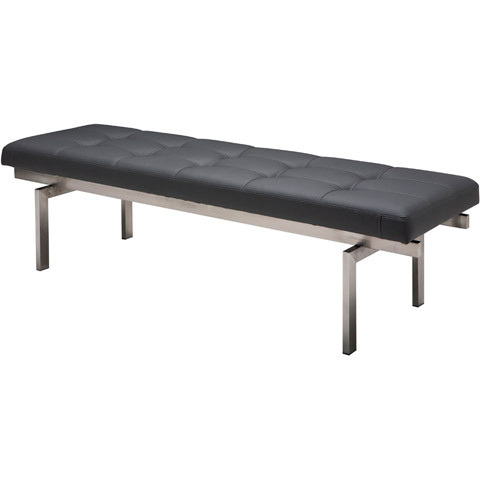 Based on the classics, the Carlisle Mid Century Bench features a slim stainless steel frame and a generous tufted cushion finished in an animal and eco-friendly Naugahyde. The square angled legs and stylish tufting nod to Carlisle's inspiration, while the high-end materials and design nod to your appreciation for value! 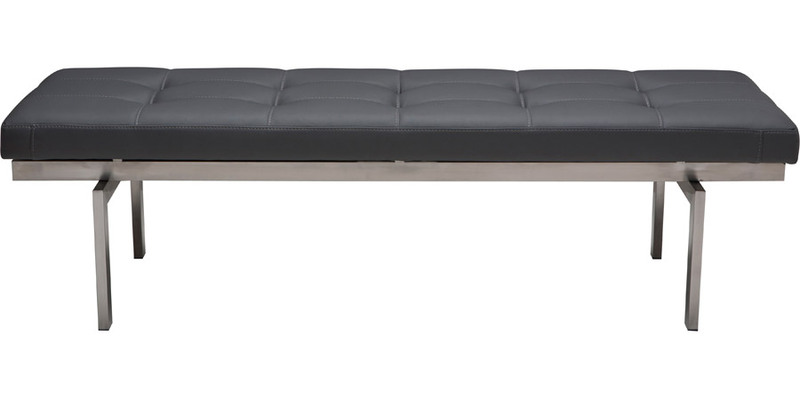 Ideal for use as a bench, coffee table or ottoman, Carlisle makes your living space or entryway functional and stylish. 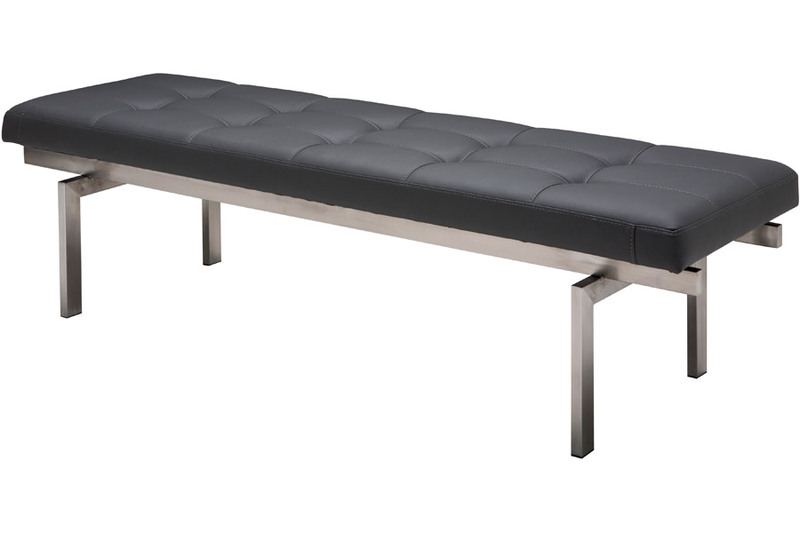 The Carlisle Mid Century Bench is available in two lengths (36 inches or 60 inches), so finding the perfect one to fit your stylish home is a cinch. 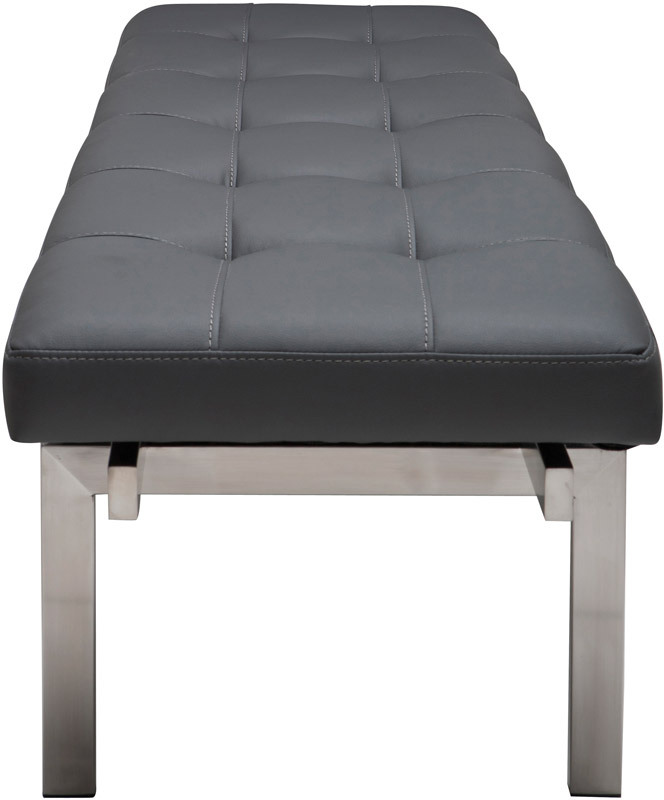 You might also love our Step Tufted Bench.